"Complex challenges that affect Internet-of-Things adoption and growth"
The Internet of Things(Iot) is the future of internet, powering billions of integrated devices and processes across industries and global locations. Typically, Internet of Things is expected to offer advanced connectivity of devices, systems, and services that goes beyond machine-to-machine communications (M2M) and covers a variety of protocols, domains, and applications. Network Intelligence:Why the Cloud is the Network? Network intelligence based in the cloud enables IT organizations to quickly, easily, and securely adapt their network to the new cloud-oriented traffic flows. SD-WAN technology delivers the network intelligence required to increase remote work force with cloud-based applications and data. Read this whitepaper, “Why the Cloud is the Network”, to learn how to leverage the cloud as a network and why the organizations accessing cloud-based applications should consider the adoption of SD-WAN solutions. It discusses: • How are enterprises leveraging network intelligence in the cloud based applications to produce flexible networks which adapt, improve, and secure access and performance of traditional cloud services? • How can intelligent cloud network impact user adoption, satisfaction, and productivity? • How can network intelligence based in the cloud remediate network challenges to reduce jitters, packet loss, and improve redundancy? • How can network intelligence in the cloud based applications minimize disadvantages like unpredictable reliability, poor latency, and limited security? Internet of things Global Standard Initiative defines it as “as a global infrastructure for the information society, enabling advanced services by interconnecting (physical and virtual) things based on existing and evolving interoperable information and communication technologies.” Research firm Gartner for 2017 and beyond states an estimate that by 2020 there will be as many as 20.8 billion devices connected to the internet and hardware spending on IoT would amount more than 3 trillion dollars. What is industrial internet of things ? The Industrial Internet of Things (IIoT), otherwise known as the Industrial Internet fetches awe inspiring apparatus, progressed analysis, and individuals to work. Its a system of a huge number of devices connected by communication technology which results in frameworks that can monitor, gather, exchange, examine, and convey valuable new insights of knowledge more than ever. These insights can then help drive smarter, quicker business choices for industrial organizations. 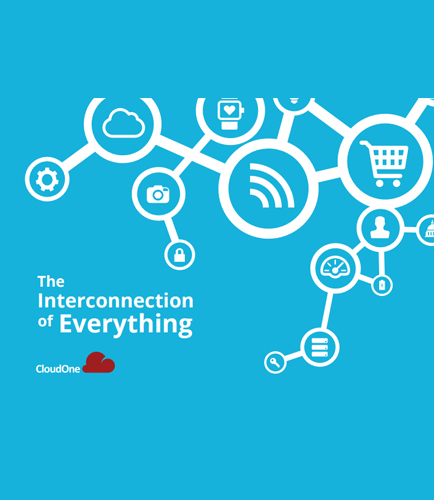 What is Internet of Everything ? Synonymous with the Internet of Things (IoT), Internet of Everything (IoE) refers to consumer products and devices linked to the Internet and equipped with extended digital features. It is a technology that emphasizes on machine-to-machine (M2M) communications to illustrate a more intricate system that also incorporates processes and people.